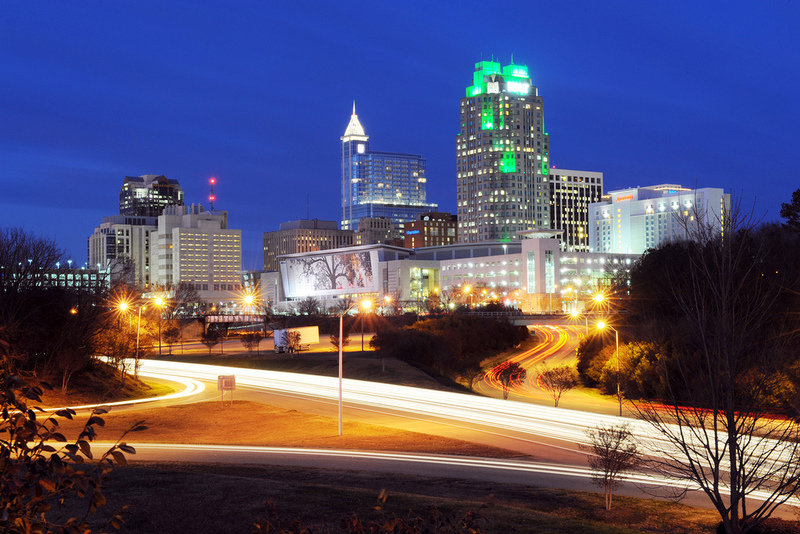 We are located in Research Triangle Park (RTP) close to South Carolina (SC), Georgia (GA), Virginia (VA), partnering with Indian software companies. In 1993 G&G Technologies, Inc. opened its first software outsourcing design lab in North Carolina’s (NC) Research Triangle Park, RTP at Raleigh-Cary.An IT software development company, being strategically located in geographic proximity to Virginia (VA), South Carolina (SC), Georgia (GA), and very close to Charlotte, Durham and Chapel Hill, NC G&G subsequently expanded to other regions of USA and established multiple development partner labs in various parts of India, and became a leading outsourcer among indian software companies. Our Goal: Provide the highest quality, strongest reliability, and lowest cost. A high-tech research area of Raleigh-Cary, Research Triangle Park (RTP), the location of G&G’s corporate office, is about 7000 acres high-tech research and development zone that’s home to more than 50,000 workers at North Carolina companies including many software, hardware, application development and telecommunication companies like IBM, Cisco Systems, Microsoft, Qualcomm, SAS Institute, Sony Ericsson, Verizon, EMC, Lenovo, AT&T, General Electric, Nortel Networks, Red Hat, and healthcare, pharmaceutical and biotechnology firms like Glaxo Smith Kline, Bayer, Biogen, Wyeth/Pfizer, Merck, Monsanto, Becton Dickinson, BASF, Syngenta, Diosynth, NIEHS (U.S. National Institute of Environmental Health Sciences), and government agencies like the Environmental Protection Agency (EPA), and thousands of other mid-size and small businesses in high technology and software industries. The minimum cost for achievement of maximum competitive advantage. “A leading software outsourcing company founded and incorporated by a team of high-tech professionals"
We have structured methodologies and established software engineering approach for distributed Application IT software outsourcing, custom application software development, maintenance, and QA software testing. Methodologies include Agile software development with Scrum and Continuous Integration, Extreme Programming (XP), step-by-step processes for both object oriented programming (iterative and recursive) and traditional water-fall development approaches. Client server and legacy migration are also covered under systematic approach to development. Structured methodologies include detailed planning, synchronizing resources (both human & time) with phased deliveries, matching design and code deliveries of dependent modular pieces with final integration, efficient source code control & configuration, parallel testing and final integration, client acceptance testing. Many of these tasks are achieved through the use of CASE tools, project management tools, source code control & configuration software packages, automatic testing tools, and detailed project management & planning processes. Application development on Android, Windows, iPhone/iPad, Linux, Blackberry, UNIX Solaris (Sun-Oracle), HP-UX, AIX, IBM iSeries AS400, and other OS platforms. Enterprise application integration (EAI), enterprise application development, enterprise software, enterprise solutions, and enterprise application software development & maintenance on most of the above and later mentioned platforms. Embedded systems design & Real time programming for device driver development, microprocessor design, firmware & hardware design. Enterprise Resource Planning ERP implementation, consulting, ERP support, ERP integration and developmentusing SAP/R3 (mySAP ECC/ ABAP/ NetWeaver), SAP Business One, Business All-in-One, Business ByDesign, Oracle (E-Business Suite / Applications), PeopleSoft, Microsoft Dynamics (AX, CRM, NAV, GP, SL), JD Edwards, LN Baan, Siebel, Salesforce.com and other ERP platforms. Business Intelligence (BI), Analytics, OLAP, Data Mining, EDI, Predictive Analytics, Digital Dashboards, Data Warehousing & Predictive Modeling using Microsoft (incl. SQL Server Reporting Services – SSRS, Analysis Services), SAP (incl. NetWeaver, Business Objects), Oracle (incl. Hyperion, BI Suite), SAS, Siebel, IBM, MicroStrategy and Sybase. Software outsourcing and IT software development lab located in Research Triangle Park (RTP), North Carolina close to Raleigh and Cary, NC in geographic proximity to Georgia (GA), South Carolina (SC), and Virginia (VA). Object Oriented programming (OO) and Java Enterprise (Java EE / J2EE) development and support. Mobile application development for smartphones, tablets and onsite software development, maintenance & support. Software integration and system integration with third-party software and applications, including EDI, E-Commerce platforms, Payment gateways, Accounting & Financial applications, Billing & Invoice processing, CRM software, Google, Yahoo, Facebook, Twitter & LinkedIn applications, GPS, 3rd-party mobile applications, Content Management & Document Management systems, Back-office & Legacy systems, ERP, POS, Inventory Control, and integration with others. Full cycle Software Testing and Quality assurance (QA). Remote Database Administration (Remote DBA), DBA outsourcing, Remote system administration, Network administration, Network support, Unix/Linux system administration, Network security consulting, Network management and monitoring. eBusiness application development, web portal design, eCommerce website design & development, maintenance and testing. Our corporate project management and coordination center is in Research Triangle Park, Raleigh-Cary, North Carolina, from where we communicate with North Carolina companies and global clients (in North America mostly USA and Canada, Europe, Middle-east, Australia, Asia and elsewhere), coordinate and manage all our projects. As an IT software development company we also coordinate software outsourcing projects from our regional offices in Silicon Valley, California, and north-east. Being centrally located in the US eastern seaboard closer to the key markets of Georgia (GA), South Carolina (SC), and Virginia (VA) along with important cities like Jacksonville, Atlanta, Charleston, Richmond, and Charlotte, helps us in effectively coordinating software outsourcing and IT software development projects round the clock. We have multiple software development partner centers in India, some of which are SEI CMM and ISO 9001 certified. Most of our Application development centers (ODC) are equipped with state-of-the-art technologies and sophisticated hardware and software platforms, well structured methodologies, documented coding standards, and established, proven processes for large scale, complex software and hardware development and systems integration. Professionals who work in these centers are top graduates from most prestigious universities, and colleges, with a number of years of IT and software development experience in prominent Indian software companies and outsourcing centers. We offer the best of all countries at lower costs and highest quality. Our team members are equipped with formal degrees and backgrounds in Computer & Information Sciences, Engineering and Business Management, with a long experience in IT software development, hardware development, system integration, custom software development and software outsourcing with various companies like AT&T Bell Laboratories (Lucent Technologies), Nortel Networks those were either in North Carolina (NC) or elsewhere in USA and strong business partnerships with many Indian software companies. Health care, medical, hospital, Nursing & Home care related (for medical transcription, healthcare medical billing, EMR, EHR, practice management applications & more) Biomedical, Life Sciences, Biotechnology, Pharmaceutical & Clinical Trial Financial, Banking, Accounting, Insurance, Broker, Investment, Stock trading, Option trading, Forex trading (Fx trading), Stock analysis (for many Wall Street companies) Telecommunications (Telecom) & Networking companies Power, Gas utility, Chemical, Oil, & Gasoline station (Fueling) related industries Large, mid-size and small software consulting and software development companies Transportation, Traffic, Logistics, Shipping, Aviation, Airlines, & Aircraft maintenance related companies Video games & Gaming software companies. Education industry (for schools, colleges, universities, web based training, and on-line education) Retail companies and distribution outlet industries. Entertainment, Web-Internet TV, Movie-Film, Video, Music, Sports, media companies (movie making and creation – cinematography, televisions / Internet TV & radios), eBook, ePublishing – creation of eBooks, interactive ePublishing, eMagazines, Web, E-commerce development companies, Manufacturing & Industrial companies, Human Resources (HR), Customer Relationship Management (CRM) and Supply Chain industries. Detailed requirements analysis, free estimate, fast application development deployment, reliable services, high quality. Looking for a local software development company in North Carolina (NC)? Global Application labs with established development processes for lowering cost. with formal degrees and backgrounds in Computer & Information Sciences, Engineering and Business Management, with a long experience in IT software development, hardware development, system integration, custom software development and software outsourcing with various companies like AT&T Bell Laboratories (Lucent Technologies), Nortel Networks those were either in North Carolina (NC) or elsewhere in USA and strong business partnerships with many Indian software companies.